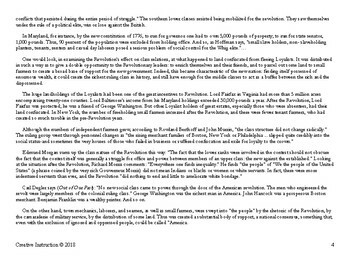 Was the American Revolution Truly Revolutionary? 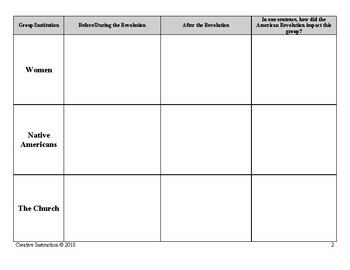 This document based inquiry or DBQ focuses on social change before, during, and after the American Revolution. How much change really happened? 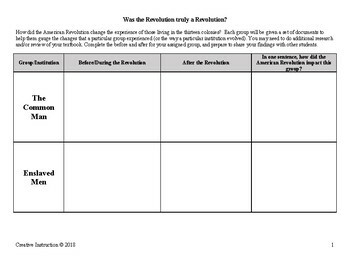 Students will analyze key documents in groups and then jigsaw to share their learnings with others. Includes a formative assessment Exit Ticket that could be used as homework. 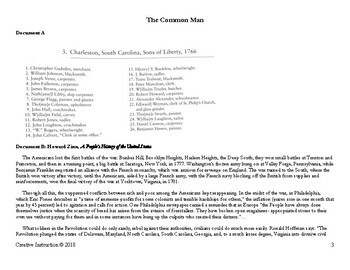 Help your students explore new ways to interpret the American Revolution and practice analyzing documents and forming evidence-based arguments!